Open borders . . . shm-open borders. The nation’s demagogue in chief, Donald Trump, keeps harping on that mantra. He is wrong to say it. His true believers are wrong to buy into it and repeat it. Trump is wrong to push for The Wall. He is wrong to suggest that The Wall is the only way to make our nation more “secure” from undesirables seeking to enter this country illegally. What’s more, he is wrong to demonize every single illegal immigrant in the manner that he’s done. He is wrong minimize the asylum-seekers who are fleeing repression, corruption and personal threats to their lives in their own countries. It is the “open borders” canard that sends me into orbit. To suggest that those who oppose The Wall somehow favor a security-free border gives demagoguery a bad name. I am one American who opposes The Wall. Do I favor stronger border security? Of course I do. So do many other Americans who believe as I do. We want the nation to be a place that enforces immigration laws strictly but also is a welcoming place for those who seek freedom and a better life for themselves and their loved ones. We can protect this country by enhancing existing security measures: drones, electronic surveillance, more Border Patrol officers. The president simplifies a complex issue by dividing us into two camps: those who favor The Wall vs. those who oppose it. I am sickened by the demonization and demagoguery the president keeps spewing, not to mention the parroting of that hideous rhetoric by his allies in Congress and those rank-and-file Americans out here in Flyover Country. We all love this country. We all want to protect it. We simply differ on the best way to do it. 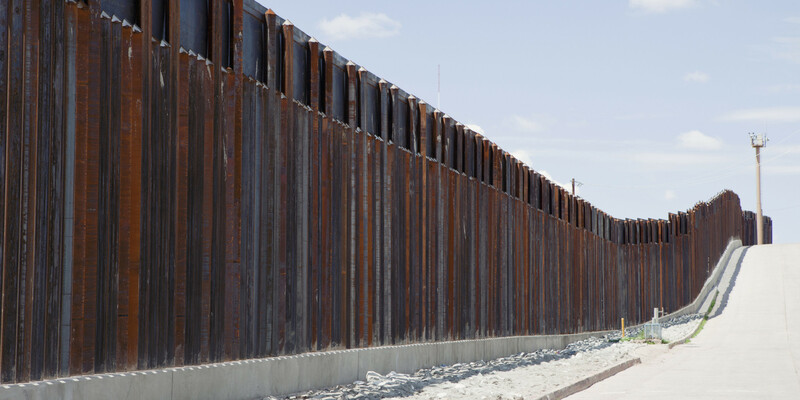 The Wall is a boondoggle, pure and simple. Previous PostWhether to tweet or be ‘presidential’Next PostHappy new year, in all CAPS! Drugs and criminals come in under, over and through border checkpoints. A wall is a minor inconvenience to them. Those inconvenienced by a wall are the poor and the asylum seekers. Even between East and West Germany, it took armed guards with orders to shoot to kill to slow border crossers. Are we going to follow the example of East Germany?